Joan Wing-Kam Lo, the founder and director of The Sheepfold, is also the co-founder and current principal of Yiu Wah Chinese School (a non-profit educational organisation under the NSW Department of Education and Training) in Riverwood, Sydney. 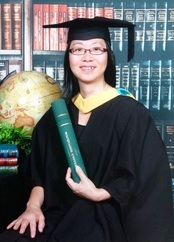 Joan graduated from St. Paul's School (Lam Tin) in Hong Kong and Macquarie University in Sydney. Her majors were English Literature and Primary Education respectively. She then obtained her Graduate Certificate in Religious Education at ACU. Joan has great passion and commitment towards teaching and learning. She is especially interested in bilingual and TESOL education. Joan has extensive experience in a variety of settings ranging from Early Childhood, Primary School, Community Language School, Coaching School, Adult Evening School to Church, for both teaching and administration. Joan holds a Diploma in Language Teaching as well as a Certificate in Leadership and Management issued by the University of Sydney. She has completed a Certificate IV in TESOL (Teaching English to Students of Other Languages) at TAFE too. She is also pursuing her further study in Master of Applied Linguistic and TESOL.